Gables Residential Vinings — Eutree Inc.
Gables Residential, a developer whose 100% of new construction is green-certified, is designing a new residential community in Vinings, an Atlanta neighborhood tucked between Buckhead's West Paces Ferry section and the city of Smyrna. One of the primary components for sustainable design is optimizing the usefulness and economy of materials. Thinking holistically about the local environment, Gables engaged Atlanta furniture maker Madera Arts and Eutree to help craft flooring, paneling, furniture and other architectural wood products from the salvaged timber of the trees for use in the development's community spaces. 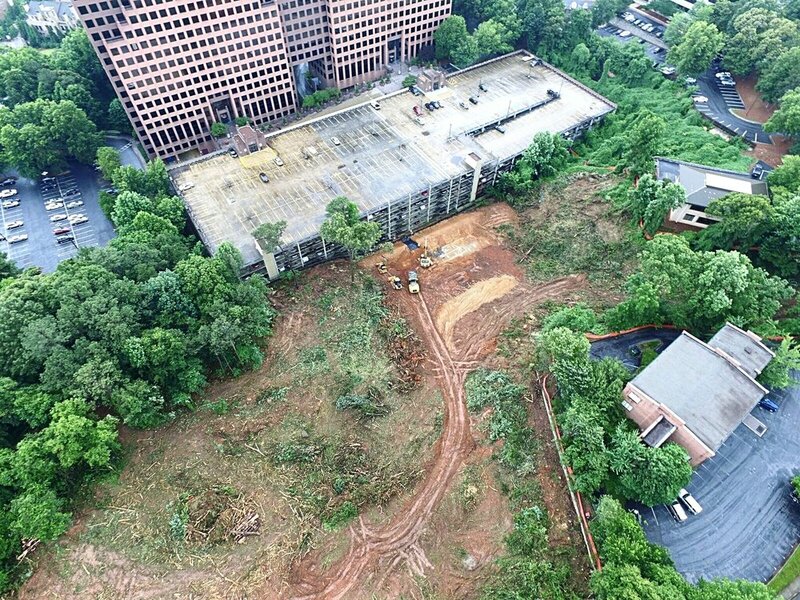 While the removal of some trees was required to make way for the mixed-use residential community, Gables partnered with Atlanta expert arborist, David Dechant at Arbor Guard, to minimize the impact to the tree canopy and surrounding environment. Gables worked closely with David Dechant and local Atlanta grading company to recover, store and preserve the trees from the site. Each locally sourced tree was selected for a specific purpose. The selection criteria is a core value of the the project team that allows for intentional design of the product. 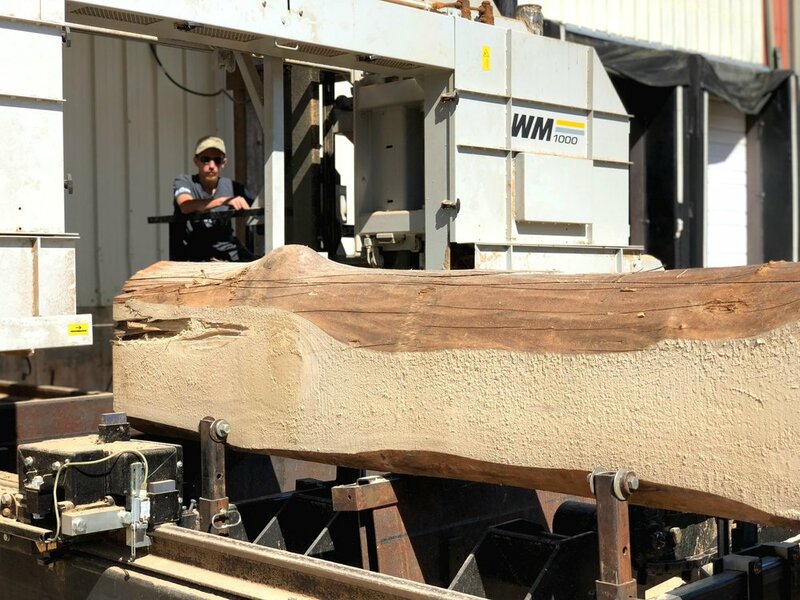 The logs were taken to Eutree's mill just outside Atlanta for materials planning and milling. Eutree collaborated with Madera Arts to provide a detailed inventory summary and recommendation to Gables design team for how best to maximize utilization of the potential lumber from each log. 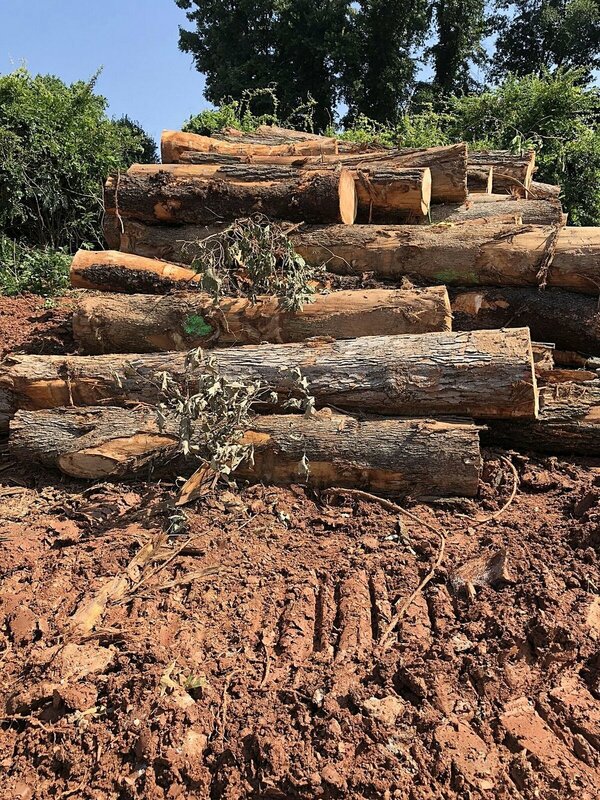 While Gables design team worked on construction drawings for the development, Eutree began to plan for use and milling of the timber from these logs. Eutree’s chief sawyer begins to saw each log into cants and slabs on theWood-Mizer 1000 mill. …while smaller logs are more suitable to be milled into cants that will eventually be re-sawed into boards for flooring and paneling. Each log was milled over the course of several weeks. Eutree’s sawyers took special care to evaluate and maximize the most material from each log. Logs milled into cants are removed from the mill by the Bobcat. Cants are organized and stacked to be re-sawn into boards for flooring, paneling and dimensional lumber. Logs sawed into slabs for tables, countertops and benches are stacked, stickered and labeled. Each slab stack is re-located to the lumberyard where they will spend several months air-drying. Over the course of several months, Eutree’s chief sawyer will monitor moisture levels and ensure each stack is getting proper airflow - critical for wood stability. Eutree and Madera Arts worked together to ensure all wood will be dried and available for fabrication into final products; in tandem with Gables’ development timeline. Stay tuned for the next phase of the project, and photos of the re-sawing process coming soon!